Now that she’s finished Unitec the 24-year-old has just reached out to her local trust up North. Her next 10-year plan is to return to the Takou Bay area (where her father is from and grandparents are buried) to support her whanau plan their papakainga (housing development on ancestral land) and marae development. Jackie Paul looks out towards Matauri Bay in the Far North. “If you look at traditional papakainga settlements or rural areas nothing is subdivided,” Paul says. “It’s spatially arranged with a connection to the land, connection to water, and wider landscape. But as we work towards intensification in our cities how do we find that balance within the urban fabric? How can Maori values and worldviews shape the identity of the places we live in? They are big questions which Paul is aiming to help answer with her work carrying out national research for the Te Ara Poutama Faculty at AUT in partnership with the Building Research Association of New Zealand. She’s about to join the team at Te Matapihi he tirohanga mo te Iwi Trust, an independent voice for housing Maori. Jackie wore her grandfather's korowai, "Te Manawhakaora" at her recent graduation. Here Paul is off to collect seafood with her family at Takou Bay in the Far North. Paul doesn’t come from a politically active family. “My parents are very grounded and down to earth Maori. I come from a big family where the majority are living in low-socioeconomic areas. Because of these issues and experiences, I understand that Maori are suffering. So I thought ‘how do we start building better communities through a different approach?’, that’s where I started from. Then it was ‘young people aren’t involved in these conversations. How can we make it more inclusive in terms of the way of the processes for urban planning and landscape architecture?’ Systemic processes don't always work, so we need to stop designing for communities and start designing with communities." Jackie Paul at Te Ngaere Marae near Matauri Bay in Northland. 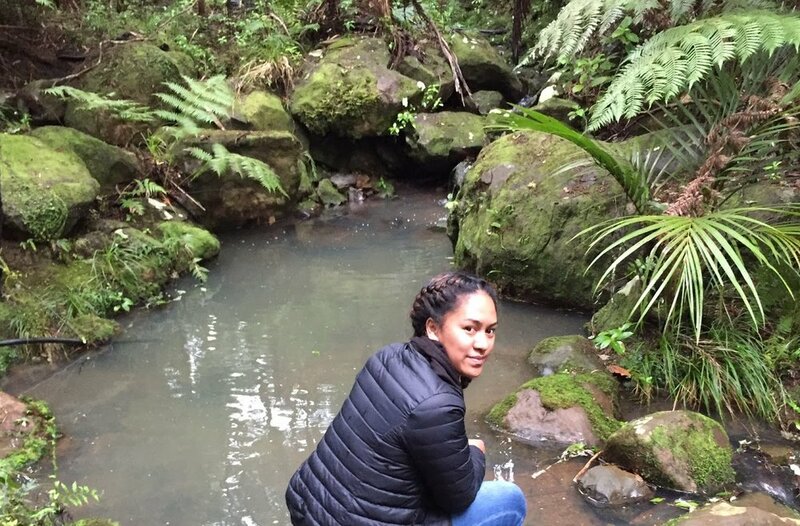 As a young Maori landscape architect does she feel a special responsibility? At Takou stream in Northland.